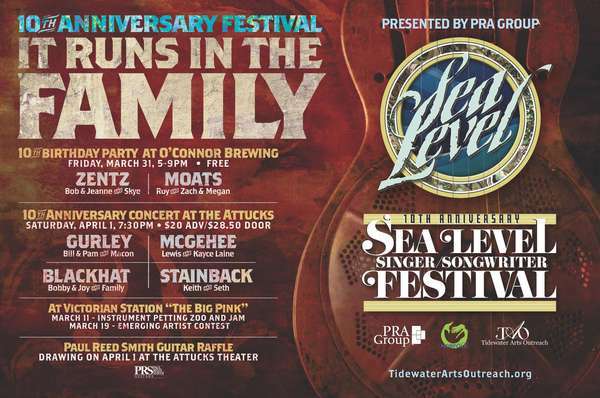 We hope you'll join us for a very special 10th Anniversary Sea Level Festival. 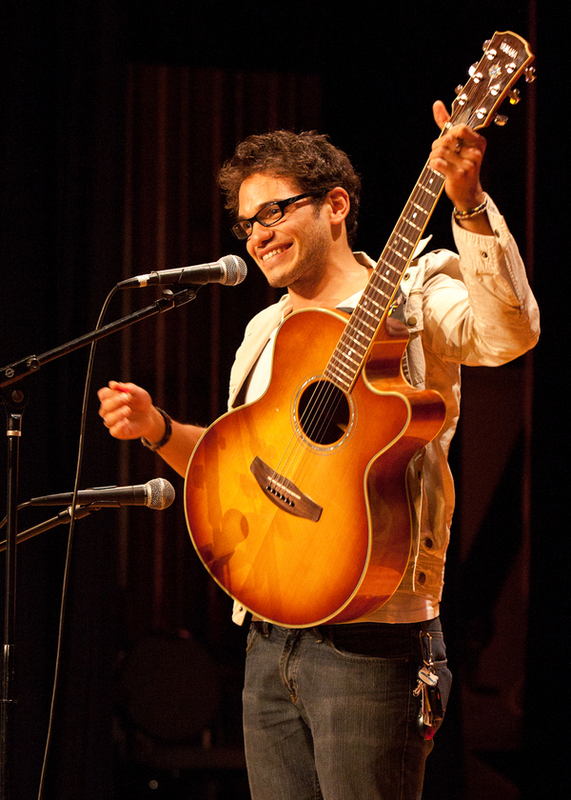 Musical Families performing at O'Connors and Attucks Theatre will make this memorable. Get the facts here. 2017 EMERGING ARTIST CONTEST SHOWCASE is 3/19/17, 2 pm at Victorian Station 'The Big Pink,' 36 N. Mallory St. in Hampton. Finalists are Andrew Bertrand . Emily Gaines . Jerry Sowers . Kevin Blatnik . Lin Floyd . Luke Willette . Nick Robertson . Robert Smith . Sherri Holland . Zack Salsberry . Judges are Paul Shugrue, Brenda Barkley, Hunter Hughes and Narissa Bond. Emcee is 96X's Crizti Walsh. Prize package is big; congrats and good luck to all our finalists. Tickets are $15; proceeds benefit Tidewater Arts Outreach. Read about these artists here. 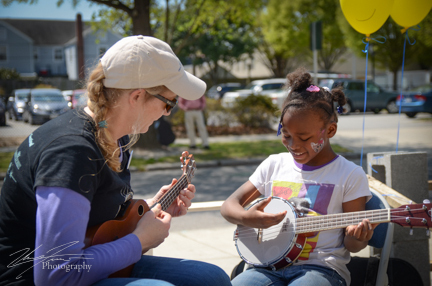 INSTRUMENT PETTING ZOO 1 -4 pm at Victorian Station, Hampton, this Saturday, March 11. Back by popular demand. Bring the kiddos and enjoy hands-on music-making on a variety of instruments with area musicians. BIG thanks to Norfolk Public Schools music teacher Andrew Dack for organizing. Stick around for the Bluegrass jam from 4-9.